DYLAN MORAN, Sean Lock, Reginald D Hunter, Jason Byrne, Rich Hall, Milton Jones, Gina Yashere, Joel Dommett, Rhys Darby, Enya Martin, Al Murray and Dermot & Dave are just some of the stand-up superstars heading to Galway for this year’s Vodafone Comedy Carnival Galway 2018. Ireland's largest comedy festival will run from Tuesday October 23 to Monday 29, and will see more than 100 acts, performing in 75 shows, across 18 venues, including at the now iconic Spiegeltent, located in the Eyre Square Comedy Village. So who is coming to the festival? 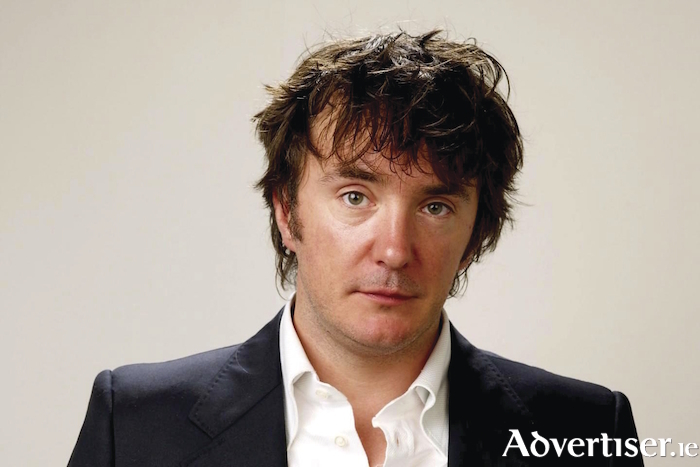 Dylan Moran's festival show will be the only opportunity for Irish audiences to catch him live on home turf this year. Another Irish exclusive is 8 out of 10 Cats Does Countdown team captain, Sean Lock, playing three nights at The Black Box Theatre, while Lost Voice Guy is also making his Irish debut, mere months after winning this year’s Britain’s Got Talent. The UK’s favourite pub philosopher turned pop-up publican, Al Murray brings his unique comedy genius to Galway, serving up his satirical brew of no-nonsense banter. The Swiss Army knife of the festival, Phill Jupitus, is relishing his return to stand up, but Galway will also see him reciting poetry as his alter ego Porky The Poet, DJing, improvising with The Steve Frost Improv All Stars, presenting festival radio, and hopefully cooking the breakfast. Speaking of cooking, expect some very unorthodox approaches to cooking from George Egg. Joel Dommett of I’m a Celebrity Get Me Out Of Here, will be making his debut Galway appearance, while Gina Yashere, British correspondent from Trevor Noah’s Daily Show, is making a welcome return to the city, as is Milton Jones, surely the world’s greatest one-liner practitioner. There will also be dashes of brilliant and inspired silliness from Jason Byrne, Terry Alderton, Phil Nichol, and Paul Currie, and some unserious messing from Irish comedy veteran Barry Murphy and Today FM’s Dermot & Dave. Other highlights include internet sensation Enya Martin’s Giz A Laugh, The Fast Show’s Simon Day getting in character, and world class stand-up from Andrew Maxwell, Reginald D Hunter, Zoe Lyons, Glenn Wool, Tanya Lee Davis [pictured below with Phil Jupitus], Angela Barnes, Kerry Godliman, and The Office Quiz with Ewen MacIntosh (The Office's Keith Bishop ). If you fancy being immortalised on film, Rhys Darby (Murray from Flight Of The Conchords ), has chosen the Town Hall Theatre to record his Mystic Time Bird special. Staying with music and comedy there is Rich Hall’s Hoedown, the always brilliant The Nualas, the inimitable Cuban Brothers, the amazing Oh My God! It’s The Church who will shake your body and blow your mind. Also returning is the hugely popular Late Night KARLnival with Karl Spain, as well as the Wild Atlantic Wahey Mystery Tour, the Comedy Club Crawl, the Open Top Bus Tour, The Dirty Circus, and Ireland’s Smallest Comedy Club. The line up of comedians is completed by Barry Murphy, Joe Rooney, Danny O’Brien, Owen Colgan, Simon Evans, Stephen K Amos, PapaCJ, Tom Rhodes, Pat McDonnell, Kevin McGahern, Totally Wired, Damo Clark, Lisa Casey, Edwin Sammon, Barry Castagnola, Andy Askins, Abigoliah Schamaun, Rosie Jones, Chris MacArthur Boyd, Keith Fox, Marlon Davis, Paul Myrehaug, Anna Clifford, Steve Bennett, Catherine Bohart, Aindrias De Staic, Shane Todd, Andrew Ryan, Colum McDonnell, Martin Beanz Ward, Micky Bartlett, Johnny Candon, Tom O’Mahony, Sean Hegarty, Jim Elliott, Adam Burke, and Breda Larkin. The festival’s new artistic director Martyne Green said: “I'm thrilled to be stepping up to the helm of this year's Vodafone Comedy Carnival in Galway. It has been one of my favourite festivals for many a year and I'm proud to be playing a part in bringing a wonderful line-up from all spectrums of comedy, to visitors and locals alike. Galway is such a vibrant city all year round but there really is something special about that last week in October - you can feel the funny in the air. With performers joining us from all over the world, I can't wait to immerse myself in the mayhem, madness and mirth." Gerry Nixon, sponsorship manager of Vodafone Ireland said Vodafone was "delighted to be involved once again" as part of the Vodafone Centre Stage comedy and entertainment programme. "The Comedy Carnival is a highlight of the country’s entertainment calendar and really reflects what Centre Stage is all about, connecting people to things that matter most – friends, fun and laughter," he said. "This year will see top class performances from both Irish and international talent and this, teamed with the brilliant atmosphere in Galway city, makes the Vodafone Comedy Carnival the must attend event of the autumn."